So i was talking to mac about code to handle complex numbers the other day - which ineviably led me to waste a meap of time messing around with the mandlebrot set. Been done a million times before, but I can't help myself..... it's just soooo pretty. Yeah they're nice, and they literally go on forever... our human brains try to ascribe all sorts of meaning to them - flowers... galaxies... even the bhudda, but actually they're just numbers (and not even real numbers! ), they don't really mean anything at all. What they said was: Complex numbers are in the form of r+i .... where r is the real part of the number and i is the imaginary part of the number. 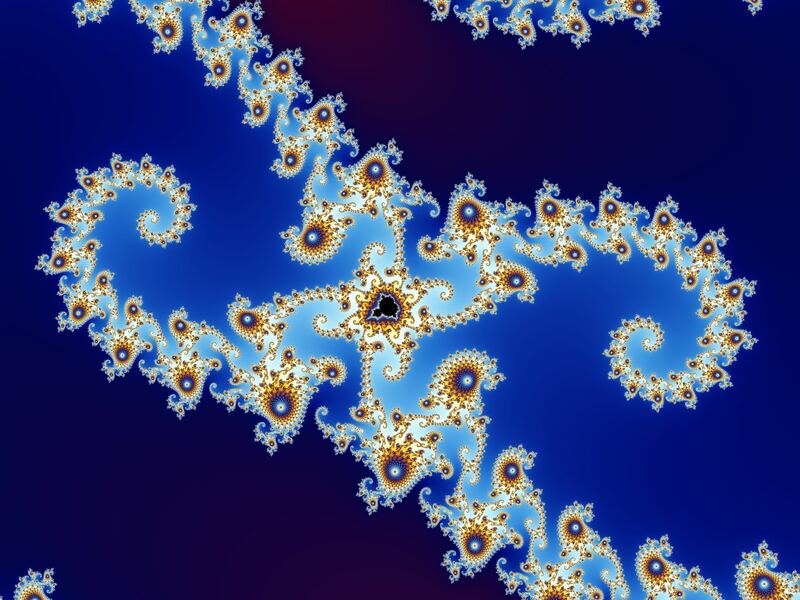 Fractal images are basically a graph of a particular function involving complex numbers that have the real part on the X-axis and the imaginary part on th Y-axis ..... sound familiar? btw lamby when/are you joining the discord server? there's really just such a lamentable paucity of lambies there we have cool new roles now and everything! I would like to join the discord server, but at the moment I am paying $$ for data. Does anyone know how much data it uses.... like MB/hour ? I have to echo mousey in that I had just ? ? ? ? ? ? when I read your post. And what's meap? I looked it up but got only "mobile enterprise application platform", "mineral exploration assistance program" and "**** off/I don't give a ****" from Urban Dictionary. None of those seemed to fit your usage. If they hadn't wasted all the time in university science class promoting the lies of evolution, they might have had time to teach me about fractals and other things actually found in science, nature, or mathematics! So fascinating. Thanks @Lambchops for sharing this!! I wanted to watch some videos on it to hear it explained and I found this one that I was amazed by, presented by Dr. Jason Lisle. I want to learn more and more about this! Oh lol sorry about that "meap" is a typo - meant to say "heap". But they are very pretty. A few people got a bit excited because they thought the top level looked a bit like the Bhudda if you turn it on its side, then folks just kind of let their imaginations run wild. Actually its just based on Z = ZxZ+C, and if that is the meaning of life then life is a lot simpler than I thought it was. 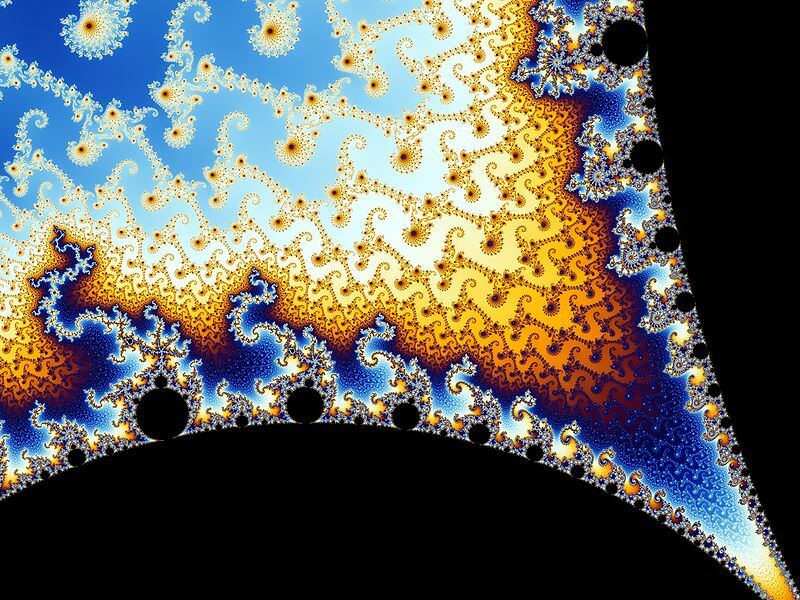 I've been listening to fractals seminar over and over while working, and I'm just...blown away. I realize now why no one from the secular school system was in a rush to teach people about fractals...because there is no atheistic/evolutionistic explanation for it. We can SEE infinity...we can SEE beauty, intelligence of vast degree, master design...we have the evidence...we can see that an all-powerful, almighty, omniscient, vastly superior mind has produced this infinite beauty and intricate design...proof of God that we humans can study and look at in wonder. It's beautiful, Lamby! We can SEE proof of what we can't grasp. What we can't understand. What our brains can't handle. Infinity. We can see the infinite exists, but we can't touch the end of it or grasp it. I'm so blown away. Thanks for sharing this Lamby! I'm not withholding this from anyone! I'm sharing this with everyone, starting with my family and facebook and everyone else I meet! FRACTALS!!!! The design built into mathematics from the beginning of time, that human beings took 6000 years to discover!! Yeah, as a fan of both numbers and pretty things it's nice when they overlap. They are very nice fractal images you have posted. I'm genuinely happy this is bringing you joy. I don't suppose in any of the stuff you've been listening to they mentioned what the square root of -1 is? .....I'm planning to personally quiz GOD about that one day. He mentions about how it's difficult for us to understand, the way it's very difficult and disturbing for children first learning about negative numbers. I remember first learning about negative numbers and feeling like it was an aberration, a violation, a lie, an impossibility. In our arrogance as "advanced civilization" members, we don't like to admit that there are things we don't know or don't understand. But the world if FULL of things we don't know or understand. Scientists still don't even know how the human body of a woman starts labor. They have theories and guesses, but that's still a mystery, as are a great many things about the functioning of our own bodies! I just see beauty in it! I love to be amazed by God's work! So you assert that there is real moral good and real moral evil, which are concepts outside of the physical world, which is the only world that is allowed to exist within the confines of the molecules-to-man-following-the-explosion-of-nothing concept of evolution that strictly rejects any immaterial source of rules for human conduct ie. God. Even Richard Dawkins believes in good and evil, as in his writing he does his best to demonize Christians as evil...but it doesn't fit his worldview that morality is a human construct. If Christianity (and other religion) is evil nonsense, how does that standard exist? Whose standard is it? Good and evil can't exist within a belief of materialism, that the physical is all there is. The atheistic/evolutionistic worldview struggles to explain even concepts and things we can sense, like thoughts, emotions, conscience, love, guilt, yet many would like to promote it as the only "rational" explanation of the universe, which we know includes things we can't sense...like the "end of the universe", the beginning of time OR the infinity of time backwards, the reason that we are here existing, and even the "end" of the fractal. 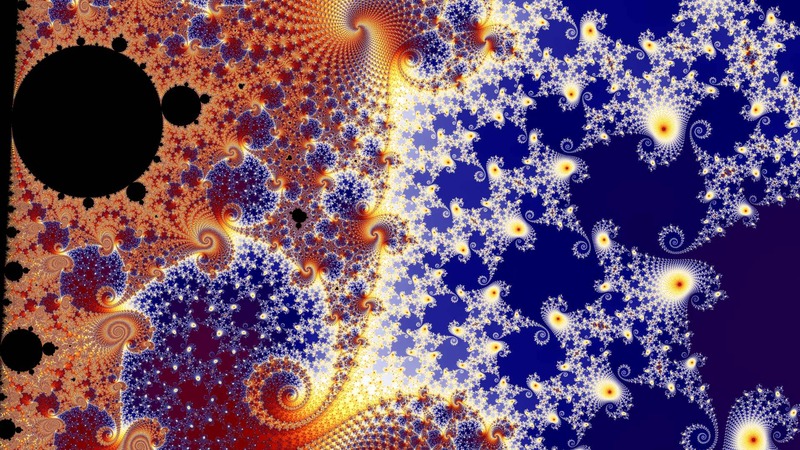 We can't find the end of the fractal. We can't sense it. We can't even comprehend the concept with our tiny brains of something that doesn't end, something that goes on infinitely. But now, with computer technology, humans have been able to plot millions of points from mathematical concepts that have always existed, and discover, built into mathematics, the most amazing, beautiful, intricate design that goes on endlessly, that defies logical atheistic explanation (as do a great many things in evolution, like the existence of comets and "hot" planets in a supposedly billions-of-years-old earth). So I will assert that, logically, is is ONLY possible that these amazing fractals built into math are the product of an amazing, wonderful, wise, beautiful, all knowing, infinite mind, the mind of God, and that the concepts of infinite space or space too far for us to find its end if there is an end and infinite time or a beginning of time when there was no time previously not fitting into our brains does not mean they are a problem of any kind for the infinite God. God has a name for every star. He knows everything about the vast universe He made! He not only knows how many stars there are (which is impossible for humankind in spite of our perceived "advancement in technology"), He knows each one by name! He knows everything about the microscopic universe He made! He not only knows the big things, He knows the little things! 12 “Also you shall have a place outside the camp, where you may go out; 13 and you shall have an implement among your equipment, and when you sit down outside, you shall dig with it and turn and cover your refuse. “Have you entered the springs of the sea? 9. Blood is the source of life and health (human need for oxygen discovered by Joseph Priestly about 1775). People used to bleed out sick people in an effort to cure them, and many died. God was far ahead of human discovery again. 10. God created creatures according to their kinds, to reproduce after their own kinds. Modern evolutionary scientists still have not caught up to real science (things we can observe, test, repeat) and want to believe that bananas and monkeys and horses and whales and people are all the same kind and are related to one another genetically and ancestrally, when one kind of animal has NEVER been observed to produce a different kind of animal, only variation within the same kind of animal. Dogs produce a variety of dogs. Horses produce a variety of horses. Corn produces a variety of corn. Believing otherwise is not in the realm of science. It's in the realm of imagination and wishful thinking. And God said, “Let the land produce living creatures according to their kinds: the livestock, the creatures that move along the ground, and the wild animals, each according to its kind.” And it was so. 25 God made the wild animals according to their kinds, the livestock according to their kinds, and all the creatures that move along the ground according to their kinds. And God saw that it was good. Information on things God knew before humans discovered it taken from http://www.eternal-productions.org/101science.html. So I will AGREE with you that there is good and evil in the world, and that actions like perverting justice is wrong, and it's wrong because God says it's wrong. But to say that it or anything at all is inherently "wrong" or "evil" does not have a logical place in the evolutionary/atheistic worldview. But we both agree that fabricating evidence, accepting bribes, perverting justice is wrong. We both seem to agree that evil deserves to be punished. But let's open this up further. If yes, does becoming a lawyer make one evil, or are evil people predisposed to becoming lawyers? If no, and I think not all lawyers are evil, then why are they singled out MORE than any other group of people, among whom we can find both more evil and less evil specimens? If we take every group of people that has been singled out as evil by some other group, we don't have much left over. Dawkins says Christians and all religious people are evil. Lawyers, politicians, capitalists, conservatives, liberals, communists, Nazis, Jews, men, women have all been slammed as evil by others. Where, then, are the non-evil people who are qualified to make these claims against others? Or do we have a right to make claims of right and wrong and true and false even if we ourselves are evil? How do we measure our own evil-ness or good-ness to measure if one is competent to judge the evils in others? Can we find a person who has never lied, cheated, stolen, cursed, been greedy, lusted, coveted, despised God or God's Word, committed adultery, dishonored parents, or been unloving to another person? If Adam J. Macleod is a wise teacher with good things to share with his students, and based only on this one piece of writing from him, I'd be inclined to lean in that direction of thinking, isn't a law school a perfect place for him? He is part of forming and shaping the minds of future lawyers who deal with laws that affect everyone, which is a very responsible position. We need more wise teachers and professors who will infuse good teaching and logical thinking into the future lawyers, so that the future lawyers are more likely to be good than unjust. I can't speak on comparing it to other services, but I will say that I have a 4GB/month phone data plan and I am very often in a voice chat with international friends just to talk for hours. I don't even notice my data going down, it doesn't use much at all. Don't know about voice chat but I used it for about a week on mobile data for text chatting and only used about 200 MB. Friends who've tested it for voicing for short periods of time have said it wasn't too bad, but I don't remember what constitutes "not bad". If nothing else, lowering the bitrate on a voice channel would probably help. I use 860mb on Discord on normal months for me. During less "outdoor" months i hover around 150-200ish MB of data. I text chat a lot in Discord using mobile data, and I don't think it takes that much. My iPhone says that it took up 1 GB of mobile data, but that's not even monthly, that's the amount it took the entire time I had that carrier. So I already checked a couple of old threads about the data usage of Discord and have answered many of my questions. So one thing that they haven't discussed was about multiple servers. So here's the setup, I turned off the preview of all images and videos on the app. Basically saves almost 90% of data usage by the app, and I can still see them if I want to by clicking them, great. I also just use the text chat feature and do not go to voice channels (for now). Now, I'm on about 20 servers and all have multiple channels in them. In the app, whenever a server has new activity, you can see a red badge on the server icon and the specific channel will have a lighter text color (on the dark theme). Does it mean that every chats in all servers and channels are eagerly loaded from the servers (which means that even though I still haven't clicked on the server and channel, the chats are automatically loaded as long as I'm in the app, which results in higher data consumption especially because I am on very active servers) or are they lazy loaded (not fetched until I view the specific channel)? Thanks! EDIT: I observed the dashboard of my pocket WiFi (that's what I use) and saw that my internet was consumed in a constant 5kBps whenever Discord was opened, though it may be inaccurate. Is this the normal consumption? So I assume everything (all servers and channels) is loaded every second? They are lazily loaded as you focus them. 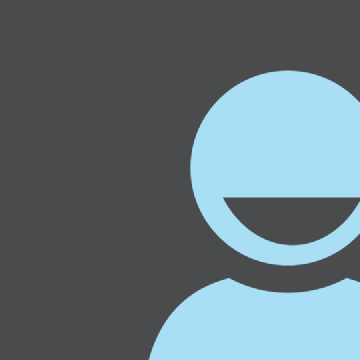 The unread indicators are powered by our read states system, which just adds badges to the channel without needing to load the message contents in the channel. An update is coming to mobile that will reduce bandwidth even more (we just rolled this out to desktop). Bandwidth savings is up to 80%.